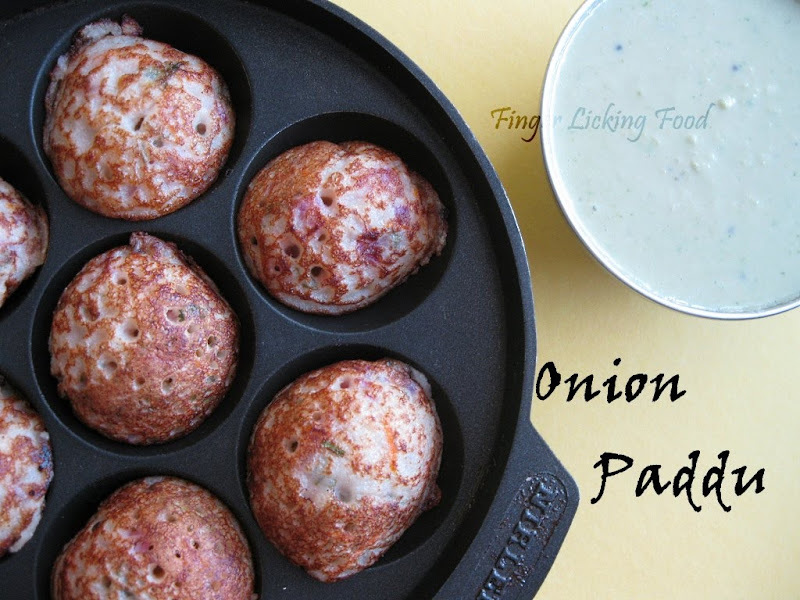 Paddu is a savory dish made out of dosa batter using an Aapam or Aebliskever pan. I didn’t know it was called an Aebliskever pan until I googled it today. Typically this pan is used to make Danish pastry balls. Mom usually made Paddu (aka Gunthapanganaalu in Telugu) whenever there was leftover Set dosa batter which has slightly turned sour. You could use other dosa batters but the taste won’t be the same. Mom has a pan which has different shapes like stars and crescents instead of only circles. So this made breakfast exciting as kids. Mix all of the above ingredients and set aside for 15 minutes. Heat the aapam pan. If using a non-stick pan you don’t need oil, but if you are using a cast iron pan, add about ¼ tsp of oil to each cavity. Using a ladle pour batter into each cavity until filled. Cover and cook on low heat for 2 mins. Uncover and when the sides of each paddu are set, using a spoon flip each paddu to cook on the other side (insides). You will know when the sides are set by slowly running the spoon or spatula along the edges, if its sticky then it needs to cook longer,if its done it will come loose almost immediately. Cook for 30 seconds or so on the other side and remove paddus from pan and serve immediately. This tastes best when eaten with coconut chutney. Repeat above steps to make more paddus. Wish i had this pan, looks yumm. Would love to have this for breakfast! 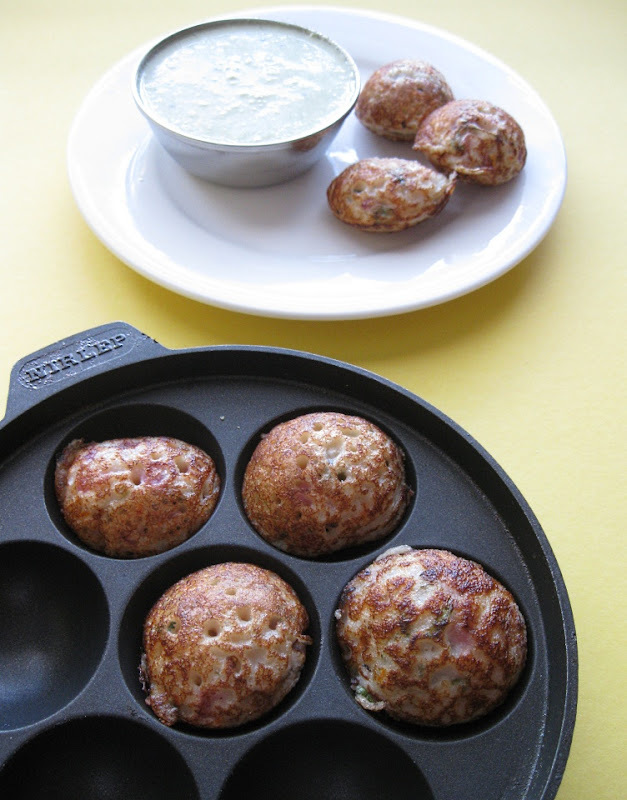 I too make small appams with the idli batter and dosa batter in the appam moulds. This pan is getting all focus these days. Good looking paddus! yummm... i love this and would gobble countless paddus. Does that ever look delicious! Oh yummmm... Thanks for the recipe.. Just love paddus! I must buy a pan like that. It is so useful! We can serve it with coconut pudina chutney.. It is the best breakfast dish!